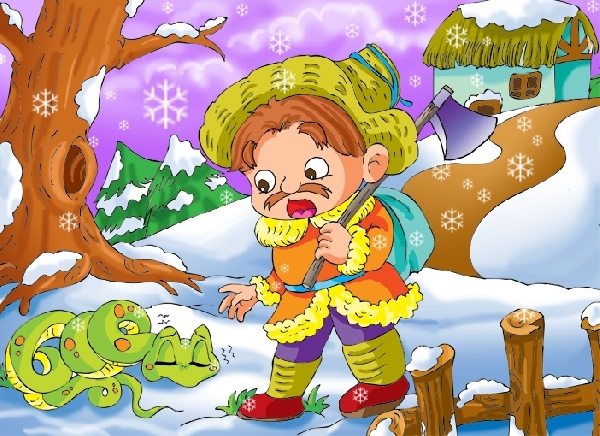 One cold winter day, a woodman was coming back home from cutting woods in the forest when he saw a serpent that appeared to be dead was lying in the snow. The woodman sympathized on the serpent and so he put it in his bosom to warm and carry it home. As soon as the woodman reaches home, he lay the serpent before the fireplace. The children watched the serpent and it slowly revived as it was warmed. 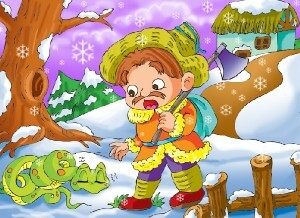 One of the farmer’s children squatted down to pat the snake. But the serpent lifted its head and was about to bite him when the woodman raised his axe and chopped the serpent into two.